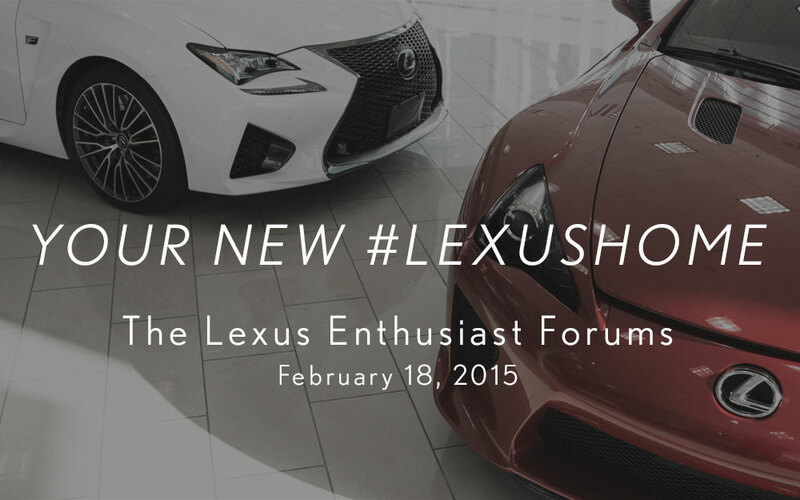 Exciting news today — after months of development and three weeks of beta testing, the Lexus Enthusiast Forums will open this Wednesday! This forum will be the heart of our growing community, moderated by well-respected and passionate enthusiasts, and built on a modern discussion platform that rewards participation. It’s already been a blast with just seventy members in a closed beta test, and I’m looking forward to everyone else joining the conversation. corradoMR2: Love Norman's RC F and PJ's cousin's LFA as your background pic! Mike Forsythe the Lexfather: See you tomorrow! A new era is here!